Situated around 15 km from the sacred Diskit region in Nubra valley, Yarab Tso makes it home in the serene surroundings of the Sumur village. Truly captivating is the sight of this lake which can be seen after a hike of around 20 mins uphill from the Panamaik village. Tso Yarab is one of the holiest and high altitude lakes in Nubra Valley. The presence of crystal clear fresh water in the lake underneath the rocky and barren terrain flashes the enchanting picture of its surroundings, making the view so picturesque. 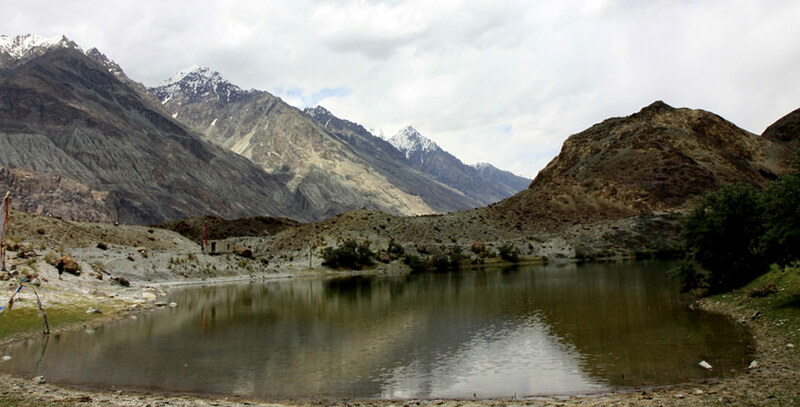 The sacred Yarab Lake rests in the magnetic Nubra Valley. So traveling by road is the only option to reach here after some point. One can hire jeeps to get through the Nubra and travel to Sumur village in order to reach Yarab Tso lake. Leh airport is the closest if you want to travel by air. Kushok Bakula Rinpoche airport in Leh is well connected to the other parts of India. Traveling via train is also an option to get close to the Nubra valley. The closest railway station to Nubra is at Jammu.